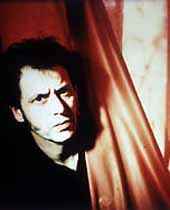 French-catalan musician, born June 30, 1955 in Montpellier. Comelade began making strange cover songs of rock and easy listening standards with such instruments as singing saw, toy piano etc. He later developed an unconfoundable style, co-operated with artists like Robert Wyatt or Faust, and even counts with a follower band in Japan, the Pascals.